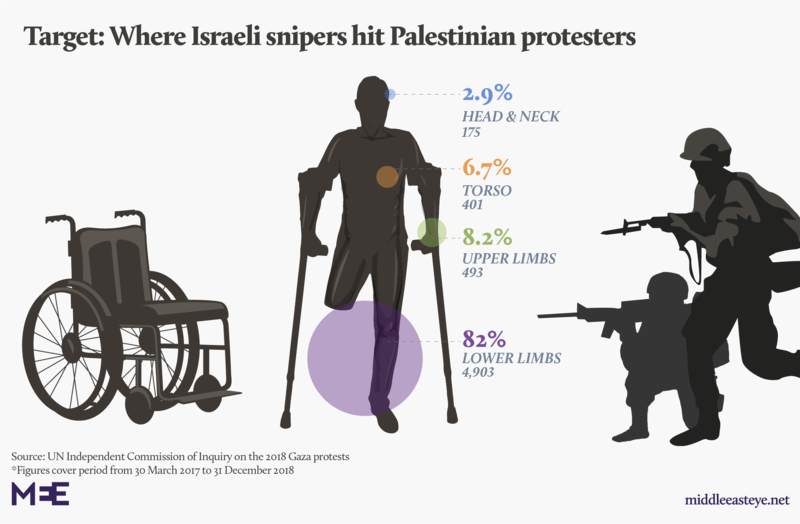 Israeli snipers have intentionally maimed Palestinians protesting in Gaza over the past year, creating a generation of disabled youth and overwhelming the territory’s already crippled medical system, frontline doctors have told the Middle East Eye. “The soldier knows exactly where he’s putting the bullet. This is not random. This is very intimate. 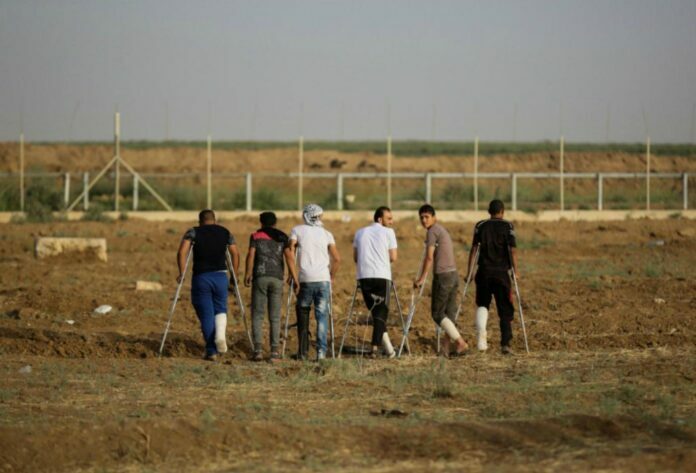 This is very planned,” said Ghassan Abu Sitta, professor of surgery at the American University of Beirut (AUB) who treated injured protesters for three weeks at Gaza’s Al-Awda Hospital last May. Marie-Elisabeth Ingres, the head of mission for Doctors Without Borders (MSF), agreed: “This is obvious. When you have almost 90 percent of the people injured in the lower limb, it means that there is a policy to target the lower limbs,” she said. At least 136 of them have had their limbs amputated, according to the latest Gaza Ministry of Health data – 122 of those amputations have been of lower limbs alone.